Weigh in 3:15 p.m. at Acapulco. 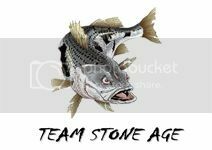 Creel is 2 fish per team, minimum size of 21�. Tournament fees ($15 per person) must be paid prior to scales opening. All teams must turn in a Tournament Entry Form to receive points for that month�s tournament (even if you don�t weigh any fish). No sheet = no points. Synergy Therapy will sponsor a prize for the largest striper released alive. Be sure to stay until the end of the weigh in for the Palmetto State Armory Fishing Outpost gift card drawing. Remember tournament directors must know by midnight Friday prior to the tournament, the names of anyone fishing who has not prepaid for the tournament. Text Liz at 803-730-6959 or Colby at 561-222-5428. If you call and don�t get us, leave a voicemail or send us a text. By fishing in a tournament sponsored by MSC each participant, whether member or guest, recognizes that MSC is not responsible for any participants safety. MSC has no control over the weather or it's effects, the acts of other boaters, the conditions or hazards of the lake, or any other unsafe conditions that may arise while fishing. Each participant of MSC tournaments understands the potential safety problems which may arise while fishing and voluntarily consents to participate knowing the risks involved. Remember life is short so always remember your Family, Friends, and Fish every chance you get!